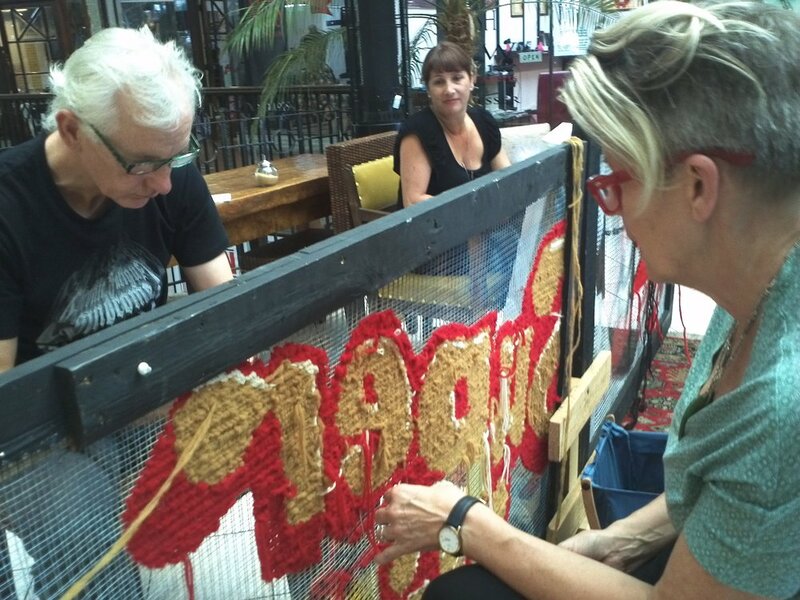 The first piece created for 'the street loves nana' to be shown [and sewn] at Splore 2014. The original design is painted by Dager [Nigel Roberts]. The sewing has been completed by a cast of many - sometimes over coffee and crumpets - captured here is its growth stitch by stitch.